5700010 305C SENNEBOGEN 305C multihandler. Spare Parts Catalog. Data catalog free download. 5700012 305C+ SENNEBOGEN 305C+ multihandler. Data catalog free download. 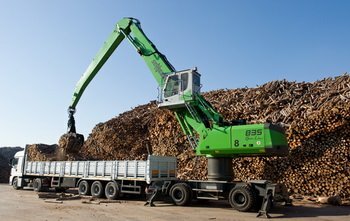 5700014 730 M-HD SENNEBOGEN 730M-HD Materials Handler. Data catalog free download. 5700016 735 M-HD SENNEBOGEN 735M-HD Materials Handler. Data catalog free download. 5700018 821 M C series SENNEBOGEN 821M C series Materials Handler. Spare parts Catalog. Operation Manual. Hydraulic schematic diagram. Electrical schematic. Maintenance Instruction. Additional technical Information. Data catalog free download. 5700020 821 M D series SENNEBOGEN 821M D series Materials Handler. Spare parts Catalog. Operation Manual. Hydraulic schematic diagram. Electrical schematic. Maintenance Instruction. Additional technical Information. Data catalog free download. 5700022 821 R-HD SENNEBOGEN 821R-HD series Materials Handler. Spare parts Catalog. Operation Manual. Hydraulic schematic diagram. Electrical schematic. Maintenance Instruction. Additional technical Information. Data catalog free download. 5700024 825 M D series SENNEBOGEN 825M D series Materials Handler. Spare parts Catalog. Operation Manual. Hydraulic schematic diagram. Electrical schematic. Maintenance Instruction. Additional technical Information. Data catalog free download. 5700026 830 M D series SENNEBOGEN 830M D series Materials Handler. Spare parts Catalog. Operation Manual. Hydraulic schematic diagram. Electrical schematic. Maintenance Instruction. Additional technical Information. Data catalog free download. 5700028 830 M-T D series SENNEBOGEN 830M-T D series Materials Handler. Data catalog free download. 5700030 830 R-HD D series SENNEBOGEN 830R-HD D series Materials Handler. Data catalog free download. 5700032 835 M C series SENNEBOGEN 835M C series Materials Handler. Spare parts Catalog. Operation Manual. Hydraulic schematic diagram. Electrical schematic. Maintenance Instruction. Additional technical Information. Data catalog free download. 5700034 835M D series SENNEBOGEN 835M D series Materials Handler. Spare parts Catalog. Operation Manual. Hydraulic schematic diagram. Electrical schematic. Maintenance Instruction. Additional technical Information. Data catalog free download. 5700036 835 R D series SENNEBOGEN 835R D series Materials Handler. Data catalog free download. 5700038 835 R-HD C series SENNEBOGEN 835R-HD C series Materials Handler. Data catalog free download. 5700040 840 M C series SENNEBOGEN 840M C series Materials Handler. Spare parts Catalog. Operation Manual. Hydraulic schematic diagram. Electrical schematic. Maintenance Instruction. Additional technical Information. Data catalog free download. 5700042 840M D series SENNEBOGEN 840M D series Materials Handler. Spare parts Catalog. Operation Manual. Hydraulic schematic diagram. Electrical schematic. Maintenance Instruction. Additional technical Information. Data catalog free download. 5700044 840 R D series SENNEBOGEN 840R D series Materials Handler. Data catalog free download. 5700046 840 R-HD C series SENNEBOGEN 840R-HD C series Materials Handler. Data catalog free download. 5700048 850 M A series SENNEBOGEN 850M A series Materials Handler. Spare parts Catalog. Operation Manual. Hydraulic schematic diagram. Electrical schematic. Maintenance Instruction. Additional technical Information. 5700050 850 M green line SENNEBOGEN 850M green line series Materials Handler. Spare parts Catalog. Operation Manual. Hydraulic schematic diagram. Electrical schematic. Maintenance Instruction. Additional technical Information. 5700052 850 M D series SENNEBOGEN 850M D series Materials Handler. Spare parts Catalog. Operation Manual. Hydraulic schematic diagram. Electrical schematic. Maintenance Instruction. Additional technical Information. 5700054 860 M D series SENNEBOGEN 860M D series Materials Handler. Spare parts Catalog. Operation Manual. Hydraulic schematic diagram. Electrical schematic. Maintenance Instruction. Additional technical Information. 5700056 870 M SENNEBOGEN 870M Materials Handler. Spare parts Catalog. 5700058 880 D EQ SENNEBOGEN 880D EQ Materials Handler. Spare parts Catalog. Operation Manual. Hydraulic schematic diagram. Electrical schematic. Maintenance Instruction. Additional technical Information.